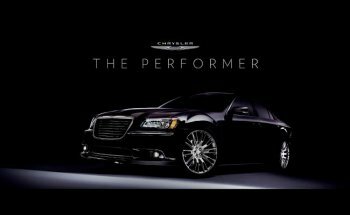 The Performer is based on the sounds of the Chrysler 300C, the iconic Chrysler luxury sedan that embodies world-class levels of craftsmanship and technology, as perfected and inspiring as a world class music instrument.All the sounds are sampled from the car with pristine state of the art technologies and manipulated to be a highly playable, enjoyable and creative musical instrument, with particular attention to the Engine sound, the real voice of the Chrysler 300C. Most of the instruments are dedicated to the engine, with Bass synths, Pads, Leads and Effects. An extensive percussion set was recorded from the car mechanical and electronic parts and is available both in naked and processed versions. Under the hood of this sophisticated hybrid analog instrument lie over 1000 audio samples, directly recorded from the Chrysler 300C through Earthworks mics, Vovox cables, RME preamps and then processed in the analog world with Maselec and Elysia compressors, a Vintagemaker summing mixer and Ferrofish converters. With this instrument you will be able to create a huge range of sounds, from filthy basses with extremely low frequencies to futuristic electronica distorted leads, saturated melodic poly-synths and everything in between. The detailed, raw sounds of the Chrysler 300C are all at your fingertips, allowing deep and complex sounds to be built easily, ready to inject energy and emotion in your productions. Native Instruments Kontakt Player 5.5.1 or higher is required.